One thing that amazed me in Haiti, after spending too much time in the USA, is the fact that the rich in Haiti tend to live UP the Hill (neg anwo) and the poor live along the river or by the ocean... All of a sudden, Haiti is open for business, there are talks of Hotels, resorts and value being added to waterfront Haiti... It is time for the poor to hit the road? 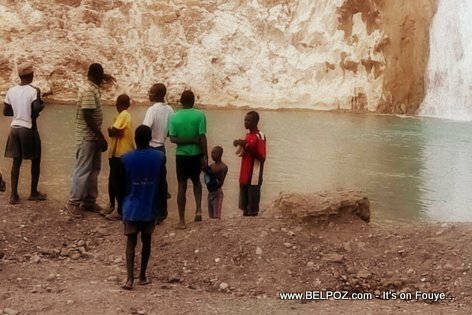 Then comes potential investors who see a wealth of opportunity in waterfront Haiti. The idea now is to move the poor away from the waterfront PRIME Real Estate and further in land. Haitians are very attached to their land. Haitians don't buy and sell houses like in the United States. They tend to stay in the same spot generation after generation. QUESTION: How will this cultural "barrier" affect the direction that Haiti wants to take? When it comes to making money those piranhas will do anything. I have seen, in Hawaii, people kicking out their lands, they live in for generations in order to make room for Hotels, because they are poor. In Brazil the indigenous people living in the Rain Forest are been forced out. All under the blessing of their own Governments. "Who will help them?" That's a good question. But the answer is NO ONE will help them. Poor people are powerless. They will just kick them out off the land, and that's it. I guess my question is where will the poor go? Will they receive any assistance to help them move?